read 1 Cor. 11. When people annoy us, how do we make them stop? We want to DO something. So what are we to do with these words of Jesus: “The Spirit alone gives eternal life. Human effort accomplishes nothing.” John 6:63. It’s supposed to be good news, but it strikes us with the force of a slap. It suggests that if we have a friend who’s hating on us, we can’t talk them into love. If we see someone who’s exhibiting all our own worst behavior, we can’t make them see sense. If we have a son who claims God is a figment of our imagination? Word – we can’t talk ANYONE into faith. As Paul put it once: one person plants a seed. Another person waters it. But only God makes faith grow. So if we can’t make people believe in God or behave lovingly or find the kind of life we all thirst and long for, why is that good news? Shouldn’t it make us feel like failures? Wouldn’t it make us feel helpless? Won’t it reduce us to vulnerable needy weak dependents? Absolutely. So let’s walk through this process together, and see why it’s good news. Ready? Let’s say we see someone we love taking offense at everything we say. We can see THEIR problems as clearly as the nose on their face. We try to point out they’re wrong. This inflames them. They take more offense. We can easily see how selfish their twisted viewpoint is. It’s obvious to us that they can only see their point of view. We point this out, too. They attack us harder. They condemn us. They belittle us. They say our feelings, wants and needs are imaginary and irrelevant. BOOM. Now WE get mad. We lose our tempers. But now the problems get worse. We don’t like the way losing our temper feels. Not only that, now we can’t sit on our high horses and judge them. We can’t say we’re better than they are. And we wonder if the reason we’re mad might be that they’re behaving the way we do sometimes. We don’t like seeing how easily they take offense. It reminds us how easily WE take offense. So what do we do? Joyce Meyer’s advice is: “don’t take offense, even when people are offensive.” She’s not saying don’t have boundaries. She says don’t take offense. God’s way works like this: we’re supposed to forgive offenses instantly. Instead of making us pincushions, forgiveness gives us clarity. We can see what’s truly objectionable about other people’s behavior and then decide upon an appropriate consequence. But taking offense makes us rant. It causes us to overreact. We want revenge. We become selfish. Self-pity fills us the way flood waters rise in a house. We hear ourselves rehearsing how wronged we are to every hapless person we run into. We become bores to ourselves. We become ugly to ourselves. Feeling bad about ourselves is a downward spiral. Oh, no… glug….. Okay, great. We reach the point where we want a better way. Someone is offensive, and we agree we shouldn’t take offense. But how do we DO that? What makes us take offense? I’ve thought long and hard about this, and stumbled on the truth yesterday. It wasn’t pretty. But maybe my journey can spare you the bumps. The problem I think is pride. Pride takes offense at EVERYTHING. Pride leads us astray. It takes us by the ear and drags us down the garden path of taking offense at every passing stranger who squints at us funny. Okay, fine. So we start to guess we have a pride problem. How do we solve it? What’s the opposite of pride? The opposite of pride must be humility, right? So how do we make ourselves humble? How do we make ourselves stop taking offense? Good luck. The problem is, it’s impossible. That’s where the starting verse comes back to help us. The Spirit alone gives life. Human effort accomplishes nothing. We realize our own effort to kill our own pride, and the pride of others is doomed. The good news is that the Spirit can blow new life into the very hearts we’ve given up on – ours and others. So we cry out to God: HELP ME! We’re starting to see how pride is sucking the joy out of our lives. It keeps us up late at night stewing over perceived offenses while the perps sleep like babies. Pride separates the closest of friends. We all have pride, and none of us can kill it dead on our own. We can’t even see it. Pride has the insidious quality of making us blame others for everything. Pride is a finger pointer. So we cry out for help, and the process of healing begins. Suddenly it strikes us that maybe we’re lucky to have friends, even if they can be pains in the you know what sometimes. We start to remember that even when our children are being less than their sweetest, we’re blessed to have children. We remember we’re lucky to have family. And if our mate is driving us crazy, we remember those lonely nights. Why, we’re lucky to have a spouse, boyfriend or girlfriend. Frankly, we’re lucky to be alive. So feeling thankful is a good start. It helps us be kinder to others. It helps us start to overlook offenses, at least the small ones. It helps us obey the command that we overlook the weaknesses of others, because they have to overlook ours. It’s the beginning of an antidote to taking offense easily. But then someone does the same old something – it doesn’t matter what, it’s that THING that gets us every time – and boom. We’re stewing all over again. What is our problem? Why can’t we stop getting annoyed? That’s where somewhere, somehow, it’s as if God swoops down and pulls a big divine SWITCH, and we actually love others. We realize like a divine revelation we’ve never had before that the opposite of pride isn’t really humility. It’s love. We just forgot what love felt like. Pride robbed us. That’s why love is the opposite of pride. That’s the journey. It’s a journey we take over and over, but we never take it alone and it’s different every time. There’s no one way set of rules. It’s a living dynamic, because it’s about our relationship with our Lord. So what does all this have to do with Paul’s long explanations here in 1 Corinthians 11 of how women should cover their heads in worship but men shouldn’t? Is this the kind of “custom” that can change over time? What about how Paul says men are the head of women, although neither are independent of each other? And what about how the Corinthians shouldn’t be elbowing each other out of the way to guzzle the Communion wine? How is all that related to this journey of offense? These are all issues that can be flash points for us. What? we think. Submit to a man? Ha! Well, maybe if he’s reallllyyyy nice and let’s me be in charge. But what if he’s a bossy boots? Never. Pride can’t submit to anyone. The Christian submits to authority. The Christian may be hungry or thirsty when she rocks up at a meal, but she has discovered greed carries its own punishment. The Christian looks forward to the moment of self-examination provided by Communion, instead of rushing through the motions, because she’s learned that repentance leads to new life. The Christian has tried all the other ways and found them deader than doorknobs. The Christians sighs when she or he meet these passages about submission or coverings and says, fine, Lord. Whatever you want. You know best. I may not understand all this yet, but I will read, study and pray, and I know you’ll show me what you mean. And then we obey (sometimes, reluctantly) and BOOM. We’re finding ourselves looking for people to bless. 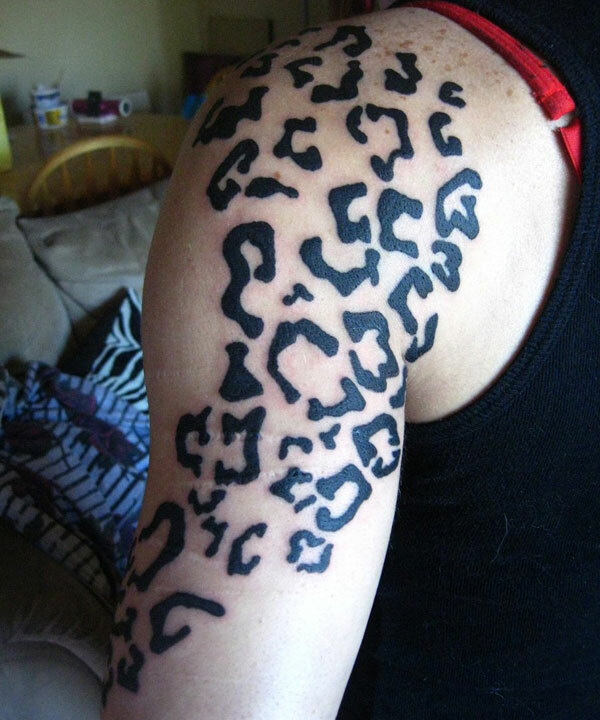 We don’t have time to take offense at some bossy man, because we’re too busy talking to a stranger on the subway about the markings on his arm, and he tells us, “they’re cheetah tatts, of course, because WOMEN get leopard tattoos, but men get cheetahs. You know, like there’s lions and lionesses?” Right. Who knew? And we smile like we’re best friends, which we are now, and when someone bumps into us on the way out, we smile at them, too. Or we do as Paul says and eat at home before we go out, like Scarlett O’Hara, and boom. We find ourselves actually looking at the people around us at dinner, instead of hating on them because we haven’t eaten a French fry in 11 years (a la Freaky Friday). This is the Way. It’s hard. It’s wonderful. It’s lovely. It’s the only way that works. We’re all alike, we humans. We’re made in the image of our wonderful God. He adores us. And we forget that all the time. But when we forget, the good news is we feel bad. And feeling bad makes us start the painful process of swallowing our pride, starting to love, and tentatively trying things God’s way. We eat the bread He gives us. We drink the wine He provides. He is the Bread of life. He alone gives Life. He gives so that we can all eat and be satisfied, just as He did when he fed the five thousand. Messing up is good news, because it can lead us away from wandering down the garden path and into the real garden. Jesus went to the Garden of Gethsemene so WE can be a garden, watered with His love. When our pride hurts too much, we can hand it over to Him. In its place, He’ll give us love. Love is the kind of thing that blooms inside us and helps us see others the way God does. We don’t take offense at others. How could we? We love them. And then the next time we fall off the wagon, and start taking offense at the smallest of things, we can get back to that helpless feeling a little faster, and find ourselves back on the wagon flat on our backs looking up at the stars, and wondering where the journey across the uncharted plains will take us…. This entry was posted in 1 Corinthians and tagged Caroline Coleman blog by Caroline Coleman. Bookmark the permalink. Very helpful, i have been going through this same process many times in my life. A very insightful post. I mean these truths should be everyday knowledge in Christianity but we still forget them from time to time and need someone or God to remind us about them.